Take a look at some of our most popular dive sites in the list below and join us for some fun dives! If you’re staying for a while, contact us to let us know how many days you are in the area and we can help you put together a diving itinerary. We can also provide information on dive and accommodation packages. 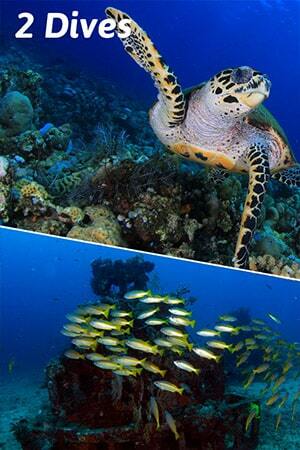 Amed and Tulamben 2 Dives packages generally start at 8:00am and finish around 2:30pm. All dive packages include water, tea, coffee and fruit, full rental equipment (we only supply high quality, regularly serviced and tested equipment) and towel, experienced and certified dive guide, round trip transportation from your hotel in Amed or Tulamben. Nitrox and underwater photography service for free included with all dive packages! Please bring a swimsuit! You may also bring a waterproof bag with a towel, hat, sunscreen, sunglasses, snacks, and any supplies you may need for the day. Two shore dives at one of the most well known and historic sites in Bali. The U.S.A.T. Liberty was a U.S. Navy cargo ship that was struck by a torpedo from a Japanese submarine in 1942 during World War II. The boat did not sink immediately, it was towed by a Dutch tugboat from the island of Lombok to Tulamben, where it was beached to salvage what was left of the cargo. The ship remained there until 1963 when the volcano “Gunung Agung” erupted. Resulting tremors and reportedly lava flow pushed the ship into the sea where it lies now. The Liberty is a wreck suitable for all levels of diver. It sits between 3 to 35 meters of water and is accessible from the shore, with a descent along the sandy bottom. A few tunnels within the ship are accessible to experienced divers, and the cargo hold is a spot that even inexperienced divers are able to explore. The biodiversity of the site is incredible and the ship is covered in brilliant coral and multicolored sponges. There are big schools of jackfish, giant wrasse, bumphead parrotfish, moray eels, turtles, barracuda and the occasional black tip reef shark. 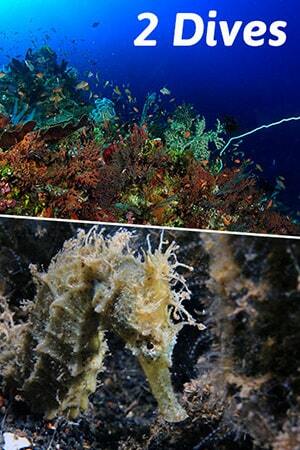 It is a great site with frequent sightings of pygmy seahorse, leaf fish, ghost pipefish and frogfish. Liberty makes for a glorious night dive when your flashlight can pick up the incredibly rich colors. The current is generally mild but the dive can be more difficult in August when the waves are larger. Novice Divers will be taken to Coral Gardens instead. Located a few hundred meters from the Liberty wreck, The Drop-Off is a shore dive for more experienced divers. Descend along the sandy bottom to a dramatic drop-off where you can explore the wall. The drop-off can reach as deep as 85 meters, but divers often stay between 20-40m. There is a vast amount of coral and barrel sponges, and like on the Liberty shipwreck we can see both small and large creatures. This site can have a reasonable current depending on the tides. 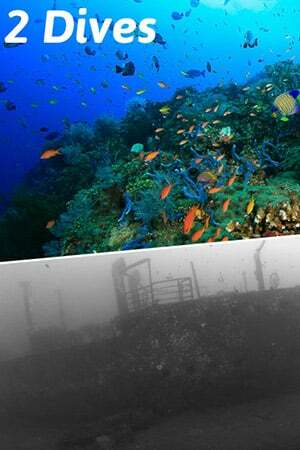 Two shore dives to explore the shallow Japanese Wreck and beautiful surrounding reef. Around 7 km from the dive center lies a little Japanese shipwreck sitting at 6 meters along with a wall sloping slowly down to 35 meters. Extremely rich in soft coral and fish, this site is a great place to spot Macro life. The current can be very strong and make underwater photography difficult. This site is accessible by shore although the surface can be quite choppy which makes for a difficult entrance. This dive is often combined with the Lipah site for a wonderful day trip. An easy shore dive on nice coral reef. Lipah is ideal for discovery dives and dive reviews. 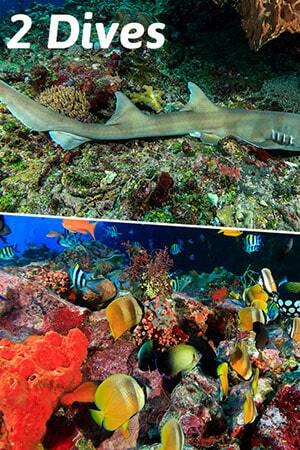 Here we can see garden corals, reef shark, eagle rays and many colorful reef fish. The current is very slow and access is always easy. This dive is suitable for all experience levels. Two shore dives to explore Micro and Macro creatures. Batu belah is in between Tulamben and Amed. 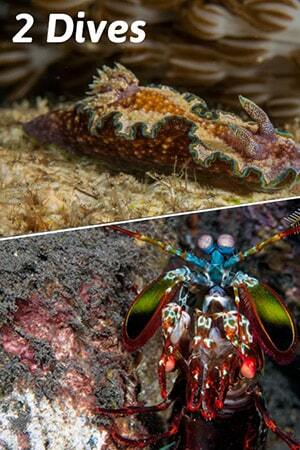 One of the best macro of Bali, we can find the beautiful Rhinopias, Mantis shrimp, frog-fish and ghost pipe-fish. Very easy shore dive without current. Easy shore dive for macro photographer. This dive site provide some macro and micro animals like hairy shrimp, skeleton shrimp and other microscopic creatures. Very slow current, the only difficulty is entrance and exit because of the rocks. Daytrip to Padang Bai to see the shark cave and coral wall. Gili Tepekong is small island in front of Candidasa in South east of Bali. Some rock formations make some small cave where the reef sharks (Trianodon Obesus) like to chill. Strong current dive with beautiful wall. The water temperature is from 18° to 25°celsius allowing to see the fabulous sun-fish. Boat dive for certified diver. In front of Padangbai, this macro dive site is extremely rich. 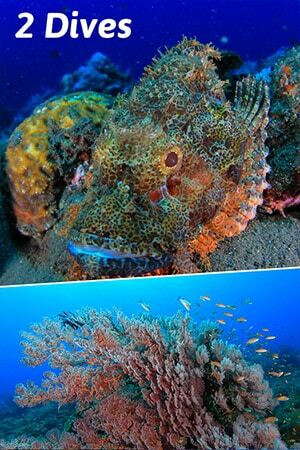 Frog-fish, rhinopías and nudibranch will make the happiness of the photographer. A colorful wall offers soft and strong corals. An easy boat dive. One shore dive in a choice of sites to discover marine life in a different way. We offer one dive at the Liberty wreck by night or early morning. You will experience a dive with torches, admire the most colorful corals, and have a chance to see bump-head parrot fish sleeping (at early morning time they meet and leave the site in group), grouper and moray eel haunting, and lot of juvenile marine life. This dive site is very particular at night. 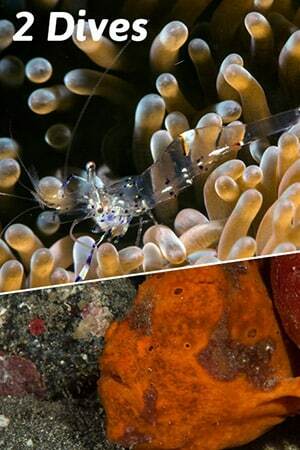 As the light is changing, you will be able to see more color on corals reef, but also lot of juvenile animals, spanish dancer, crab, shrimp and more crustacean. This dive site is very interested in the night time. As the site of Jemeluk, you will find crustacean, juvenile life, colorful sea urchin, but also have a chance to see reef sharks. 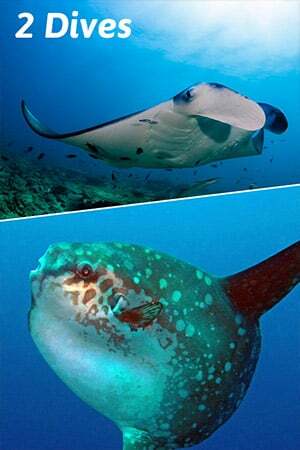 Daytrip with two boat dives where we can see manta rays & mola mola! Manta Point is a rock that emerges near a cliff on the south coast of Nusa Penida. Manta rays come to this area to be cleaned and swim around the small pinnacles filtering water to eat plankton. This is the perfect spot to find manta rays all year round. The visibility here is often poor (10m) because this site is loaded with plankton. Manta rays swim with divers and have fun with their visitors. Occasionally we can count up to 15 of them! Crystal Bay is located between the islands of Nusa Penida and Nusa Lembongan. It is one of the most famous dive sites in Bali, because it is one of the only places in the world where we have the opportunity to meet the extraordinary giant sunfish (Mola-Mola), which can be more than 3 meters in size. These pelagics come near the surface (15-40m) to be cleaned by feeder fish. Sun fish normally live very deep and rise during the summer months (from July to October) because the current changes at this time. The water is clear and the bay is beautiful. Outside the Mola-Mola season, the diving is spectacular. The site is rich in coral and there is the opportunity to see many different species – clown fish, sweet lips, Anthias, angel fish, trigger fish, and so many more! Two boat dives along volcanic rock. Go deep and explore the life at this drift site. Embral is a giant slope with a trough extending deeper than 100 meters. The rock formation was created during the 1963 eruption of the Gunung Agung Volcano (3052 m). This is an exciting deep dive with slow to moderate current. We can see nice coral which is home to humphead parrotfish, white tip reef shark, tuna, giant trevally and many others. A nice site for technical dive where we have chance to see napoleon fish, grouper, humphead parrotfish,and a cleaning station for mola mola at 85m ! See the small treasures that diving in Bali has to offer. Two shore dives. In front of Amed beach, this macro dive site host a lot of strange creatures like harlequin shrimps, frog-fishes, snake eels, nudibranch and many others… Easy dive with very slow current, a best for photographer. Cafe Garam is the site just next to Melasti. These dive sites are near 2 rivers that bring sediments that’s feeding nudibranch and other animals… Slow current shore dive..
Two boat dives ideal for technical divers. Batu Kelebit and Alamanda are the continuity of the “drop off” of Tulamben. They are good sites for technical divers where you can find cleaning station at deep depths. You can also explore the 2 sites with a DPV. Two boat dives at a difficult but absolutely beautiful area. Drift dives with strong current. A small island emerging in the eastern part of Bali, in between Indian and Pacific ocean. Strong drift dive along a magnificent coral reef. There is an abundance of corals, pelagic and reef fishes but we can also see sharks and other surprises like hammerhead sharks and manta rays. About twenty minutes by boat. Strong drift dive with abundance of coral. Giant trevaly, dog tooth tuna, Barracuda and reef sharks are common. A group midnight snapper is stay on a drop-off in middle of the dive site. for certified divers ! Two shore dives to explore a fun artificial wreck and abundant reef. The Boga shipwreck was sunk to create an artificial reef near Tulamben. The top of the ship sits at 14 meters with the propeller at 38 meters. Inside the wreck there is a “Volkswagen Thing”, a car that divers often take funny photos with. See big schools of giant Barracuda, hump head parrot fish, Napoleon and many others. Accessible to all levels of certification with occasional mild currents. The Monkey Reef is a nice dive site for macro. It has a very colorful reef where you take time to look for ghost pipefishes, pygmy seahorses, etc. Two shore dives that are heaven for underwater photographers. These sites are teeming with macro! Seraya welcomes divers of all experience levels. Located a few kilometers from Tulamben, this shore dive is exceptional for Macro and perfect for underwater photography and videography. This is quintessential “Muck Diving”. We can see pink squat lobster, harlequin shrimp, frog fish, conventional shrimp, crabs, juvenile lionfish, and many types of nudibranch. The current is generally slow, but surface chop can sometimes make access difficult. Two boat dives along walls rich of corals. In Jemeluk bay, this wall and deep slopes are rich with black corals, sponges, gorgonians, octopus, cuttlefishes, moray eels, etc. The dive finish in a hard coral reef flat good for shallow dive and snorkeling. In front of Amed beach, this dive site is the continuation of the pyramids dive site. The reef is a gentle slope with a shallow wall where there are chances to encounter White tip sharks, lobsters, giants trevally, etc. 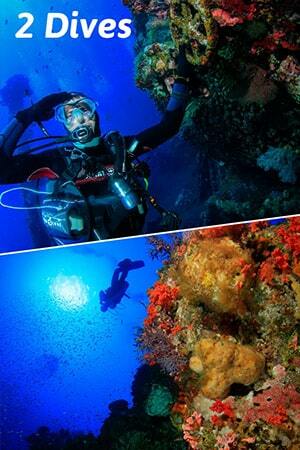 Two boat dives on a drift site abundant in hard and soft coral. 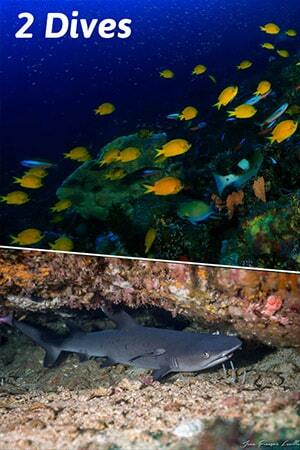 A 20 minute boat ride from the dive center, Bunutan is an excellent drift dive on rich coral reef. We always say: “we never know what we gonna see in Bunutan”, because every day there can be a surprise. We have even spotted whale sharks and sunfish in this spot. The coral is incredibly healthy and you can see garden eels and many varieties of schooling fish. This dive site is recommended for experienced divers when the current is strong. This dive site is located in front of the dive center in Amed. It is ideal for discovery dives but an interesting stop for experienced divers to see the splendid mix of hard and soft coral. Around fifty concrete pyramids were sunk in 2005 to create an artificial reef on the sandy bottom along a natural reef that ends in a beautiful 40 meter deep canyon. Entrance and exit points are from the shore for beginners, or experienced divers can do a drift dive from a boat. See hawkbill turtles, sweet lips, giant grouper, snapper, blue spotted stingrays, barracuda, small reef shark, and stunning Macro life. 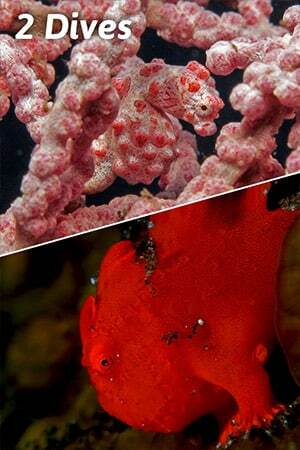 We can find pygmy seahorse, leaf fish, lionfish and more. Pyramids makes a beautiful night dive that is suitable for all levels. Two boat deep dives for experienced and technical divers. This dive site was an old pearl area (mutiara in Indonesian) forms of reef and flat area where we can encounter shoal of ludjan fishes, nudibranch, mantis shrimp, cuttle fish and more. This dive site has a deep reef perfect for technical divers. We have high change to see mola mola and hammerhead shark.